If you don't want wallpaper history to be displayed in Settings app, this registry workshop will show you how to clear wallpaper history in Windows 10. If you’re a long time Windows 10 user, and if you regularly change your Desktop background wallpaper, you’ll notice the wallpaper history. The wallpaper history consists of recently used wallpaper images, which is displayed on Settings app > Personalization > Background. If you don’t want the recently used wallpapers to be displayed while you’re changing Desktop wallpaper, you can try the registry tweak mentioned below. By applying this registry manipulation, you will be able to erase the wallpaper history very easily. 3. In the right pane of Wallpapers registry key, look for registry strings (REG_SZ) named BackgroundHistoryPath1, BackgroundHistoryPath2, BackgroundHistoryPath3, BackgroundHistoryPath4. These registry strings hold Value data for the past wallpapers and constitute wallpaper history. If you delete these strings one-by-one, by doing right click and select Delete, you’ll be able to erase wallpaper history. Following is the confirmation prompt which may appear for each string and you’ve to select Yes every time. 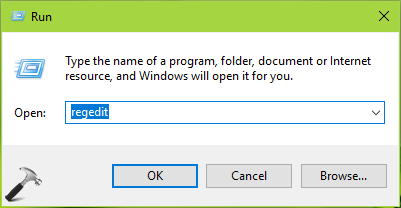 Worth to mention here that BackgroundHistoryPath0 registry string at this registry location corresponds to current wallpaper and if you delete this, Windows 10 will display default wallpaper with which it came up. You can also change its Value data to your favorite image location, and your current wallpaper will be changed to your favorite image. When you’re done, you can close Registry Editor, sign out and sign in back to make changes effective. So this is how you can clear wallpaper history in Windows 10.